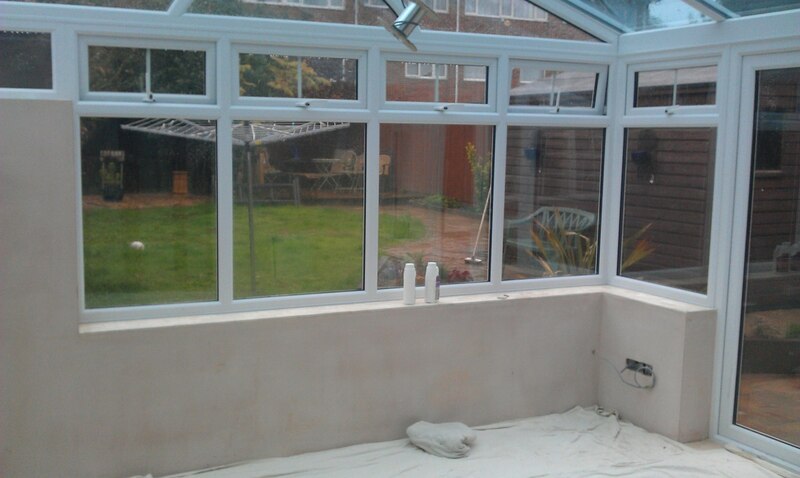 Decorating a newly built conservatory in Kent. 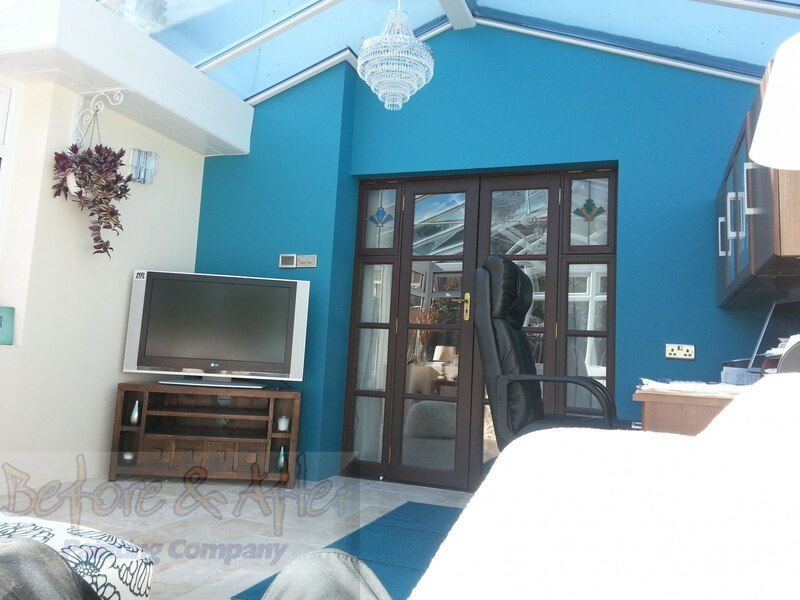 For this conservatory paint project in Sittingbourne, Kent, the client supplied the feature wall colour which was purchased from Homebase. 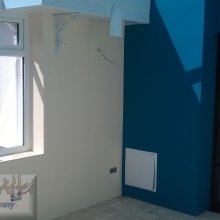 The feature wall colour is Dulux Teal Tension in a matt finish. 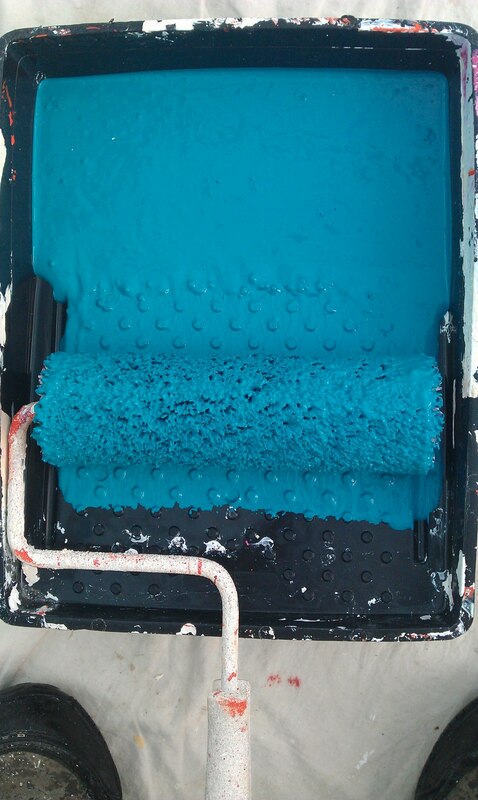 I don’t usually like “retail paints” because they don’t tend cover as good as the trade paints I always use. 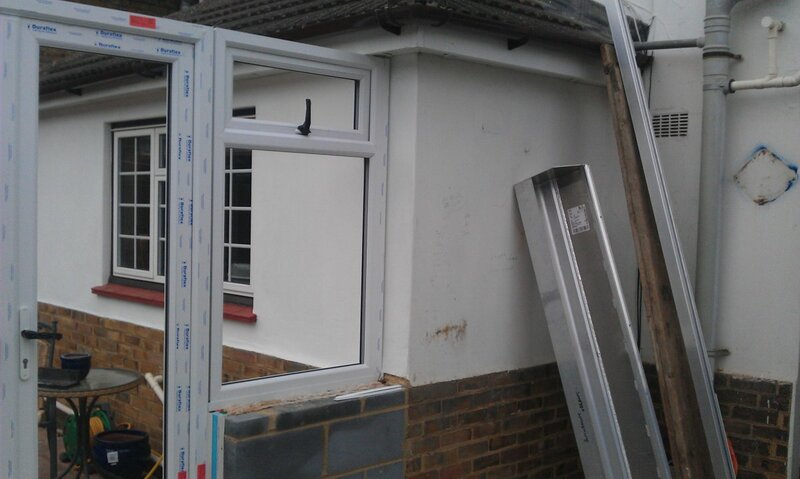 That said, this covered really well and I was actually quite impressed! 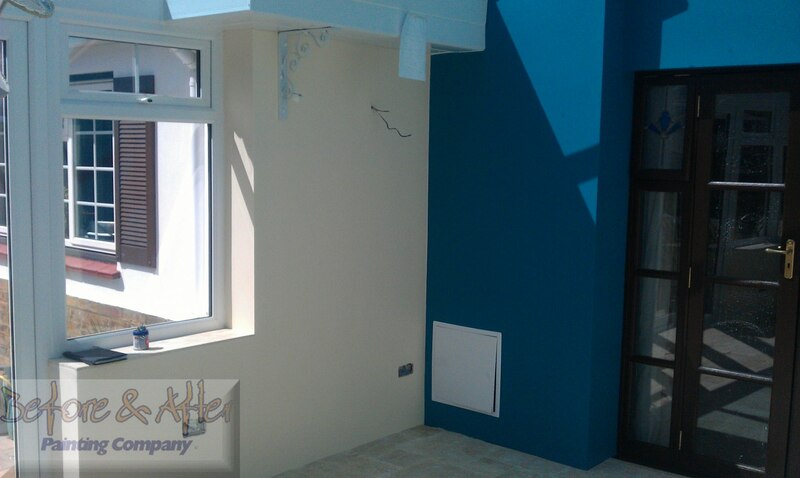 The emulsion for the three main wall colours was supplied by myself and purchased from Crown Decorating Centre in Gillingham. 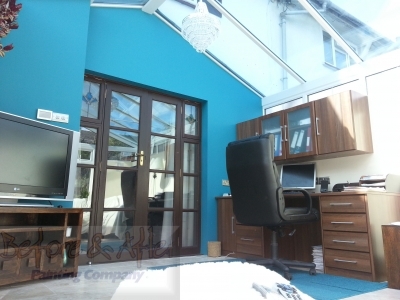 The colour was a simple and “safely goes with anything” Magnolia. 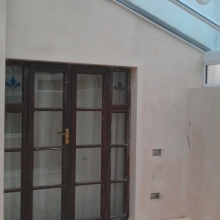 The new plastered walls were lightly sanded down using my Mirka Abranet System which is a virtually dustless sanding system ideal for projects such as this. 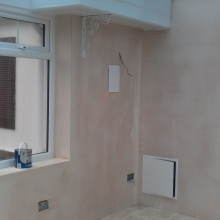 Once this was carried out, it was time to apply a mistcoat to seal the bare plaster, followed by a search of any cracks and imperfections which were filled with my favoured interior filler, Toupret Reboucheur. 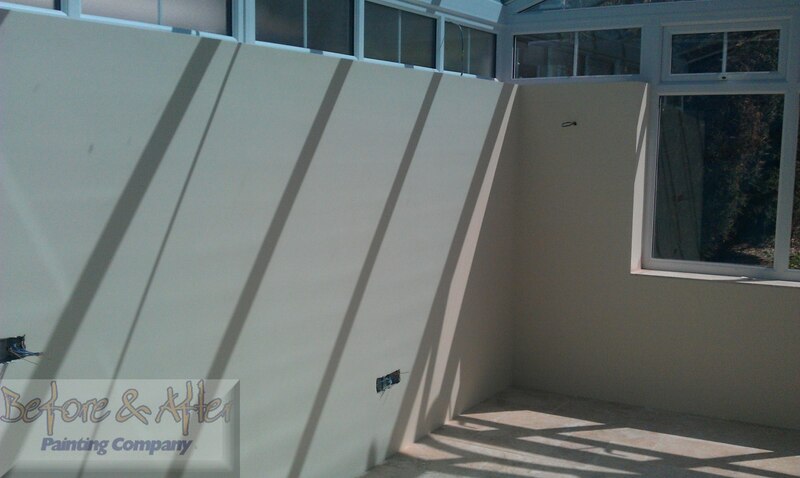 It rubs down very nice to a smooth finish using the Abranet 120 down to 240 grade sheets. 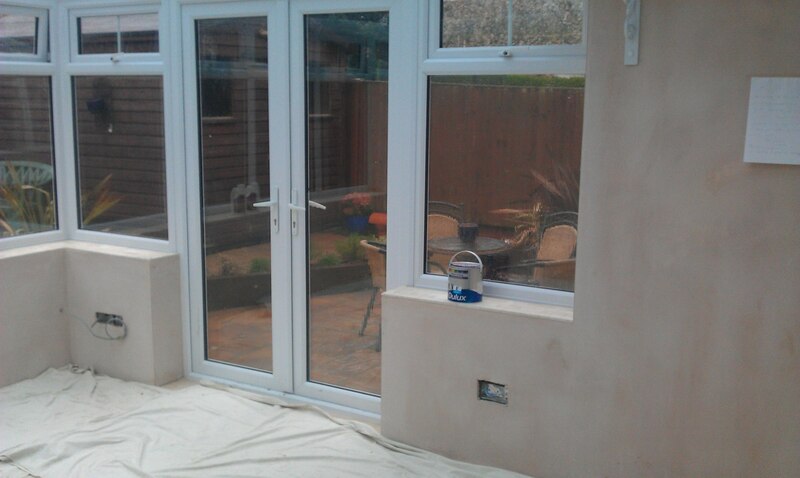 Cutting in freehand using a Proform Picasso brush. 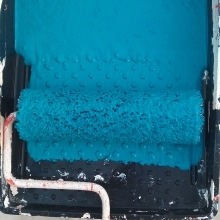 Once the filler was dusted off using my Henry vacuum with the brush head, the filler was spot primed. 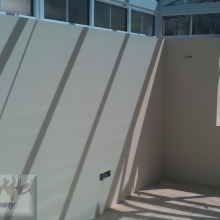 Upon drying, the first of the two full coats of wall colours were applied. 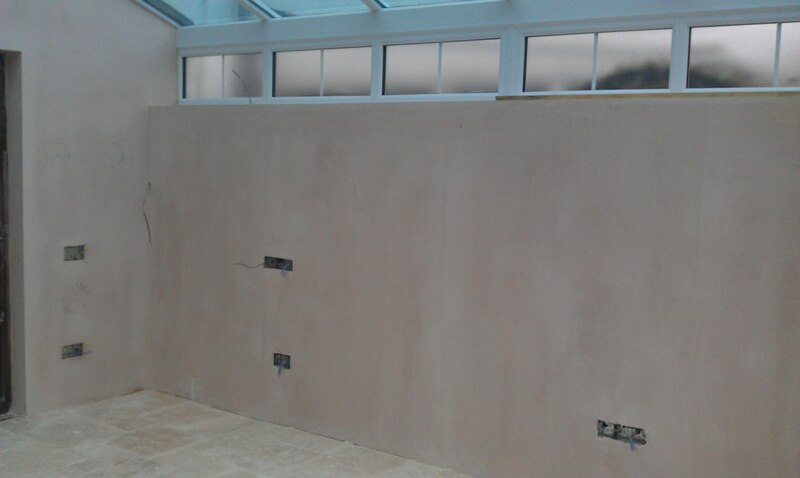 The main was first, then once dry, the feature wall was emulsioned. 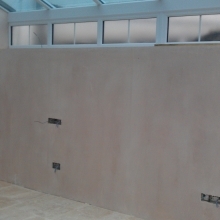 You can cut the feature wall in freehand using a good quality brush – I prefer the Proform Picasso (which you can purchase via Mypaintbrush Decorating Supplies, see their logo on my site), or if you wish to use a DIY brush, you could always use a good quality low tack masking tape to help you keep a straight line running down the corner of the wall. 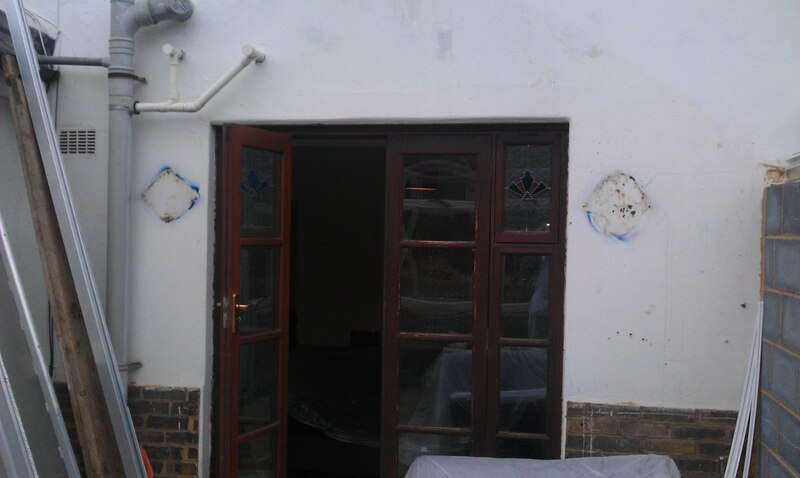 I prefer the tesa brand available online or from your local decorating centre. The wood trim glazed double doors and frame were finished using Sikkens Cetol Filter 7; the colour is Walnut. 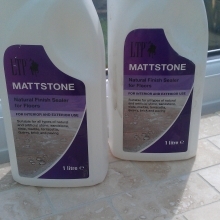 The floor tiling was sealed with Mattstone natural finish flooring sealer. 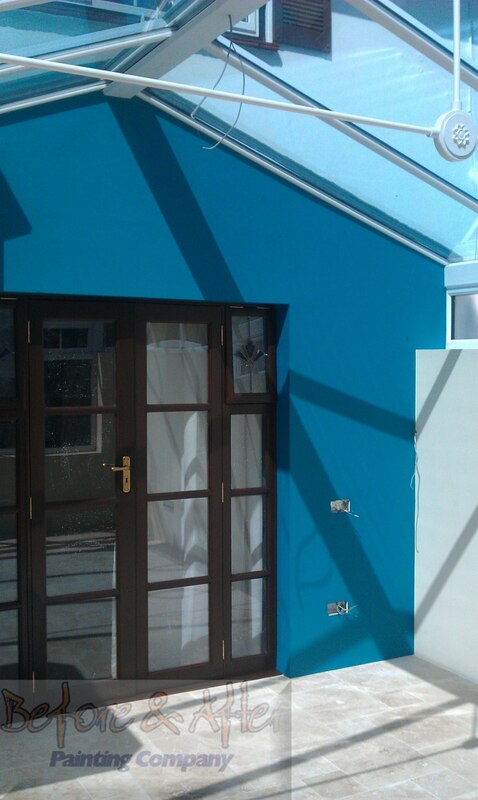 Why not contact Before & After Painting NOW to decorate your conservatory interior. 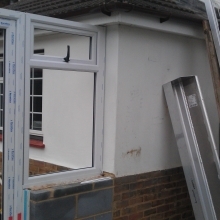 Materials used on this project. 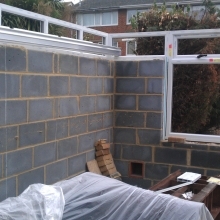 Block walls and no roof. Will this conservatory ever be ready for painting. 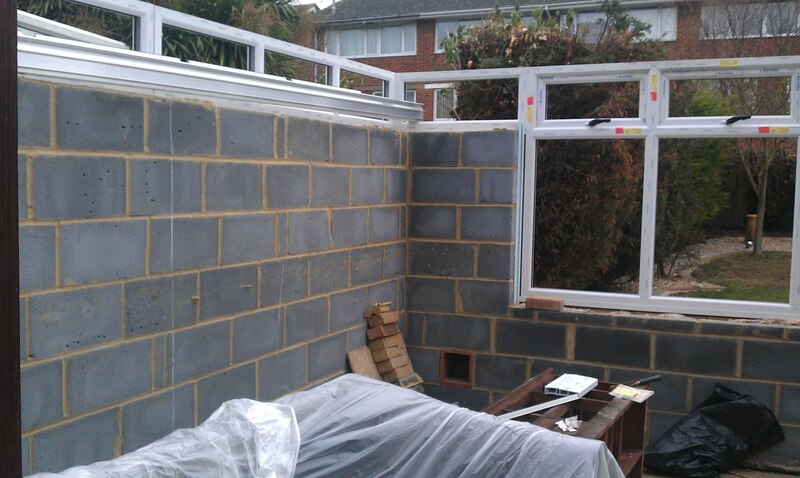 Conservatory still being built in Sittingbourne. Crown Trade Magnolia mid sheen emulsion. 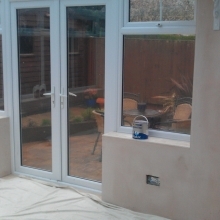 Exterior rendered wall now plastered ready for decorating. 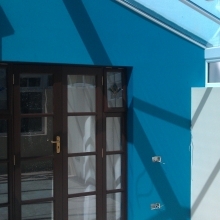 Feature Wall in Dulux Teal Tension. 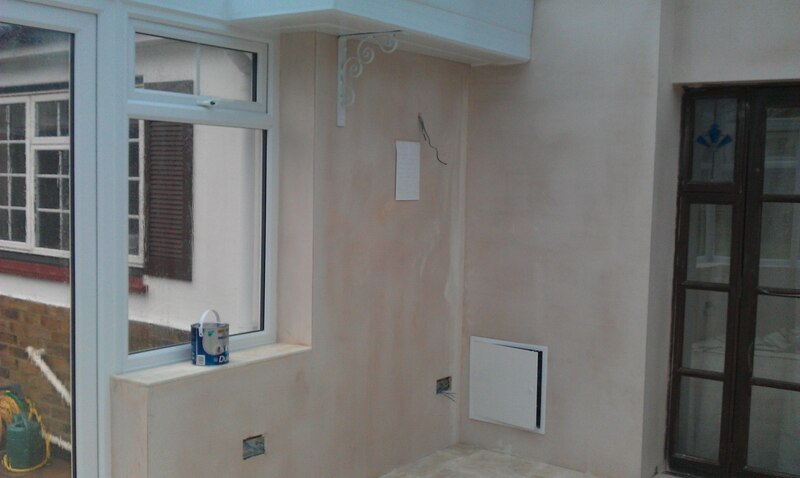 Magnolia Mid Sheen emulsion from Crown Trade - magnolia. 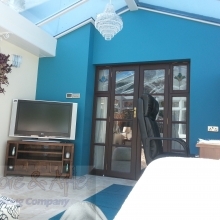 Magnolia Mid Sheen from Crown Decorating Centre, Gillingham. 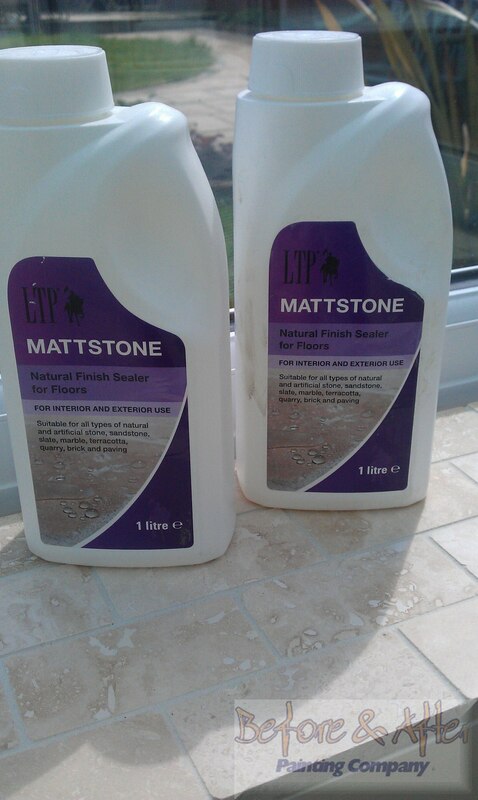 Mattstone Natural Floor Sealer. 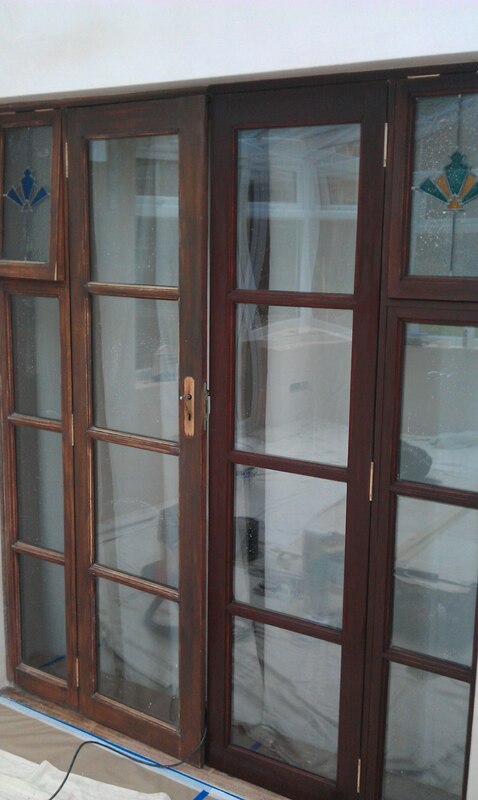 Two coats wiped on. 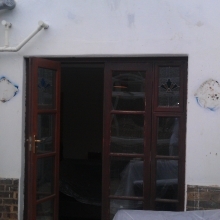 Still showing old existing rendered external wall. 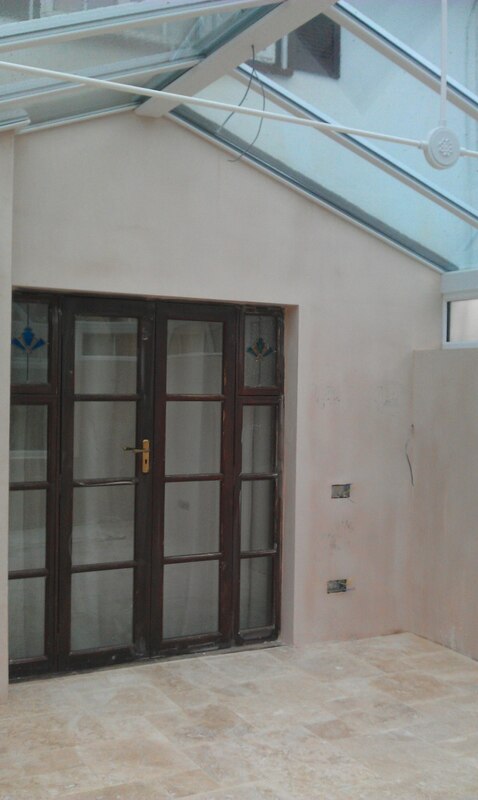 Walls now plastered as the conservatory is now sealed with glazed units and roof. « Laura Ashley Isodore Charcoal Linen design.